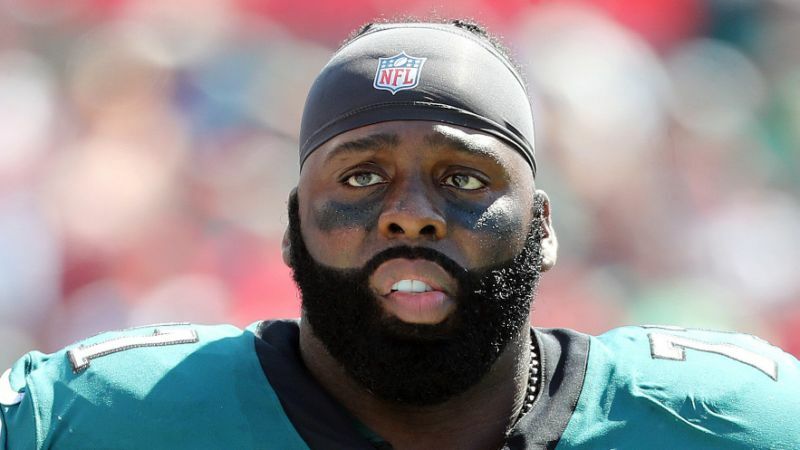 TOUGH GUY JASON PETERS WILL PLAY IN EAGLES-PANTHERS GAME! Eagles left tackle Jason Peters will play this Sunday against the Carolina Panthers at the Linc. He’s practicing today despite reportedly tearing his biceps in the second half last Thursday against the Giants, but head coach Doug Pederson said he is “doing fine” and will play through the injury. Peters, 36, has also been playing through a quad strain suffered in Week 2 against Tampa Bay. He missed a good portion of last season after tearing his ACL and MCL in late October. Halapoulivaati Vaitai is his backup. Right tackle Lane Johnson played through a high ankle sprain last week. Pederson said Johnson “could” practice, but they’ll monitor him early in the week and make a judgment call from there. Running back Darren Sproles (hamstring) has not played since the opener. Pederson continues to call him day-to-day. 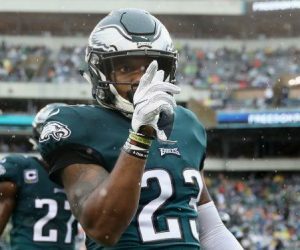 Next EAGLES, THOUGH ONLY 3-3, STILL RANKED 4TH IN NFL POWER!